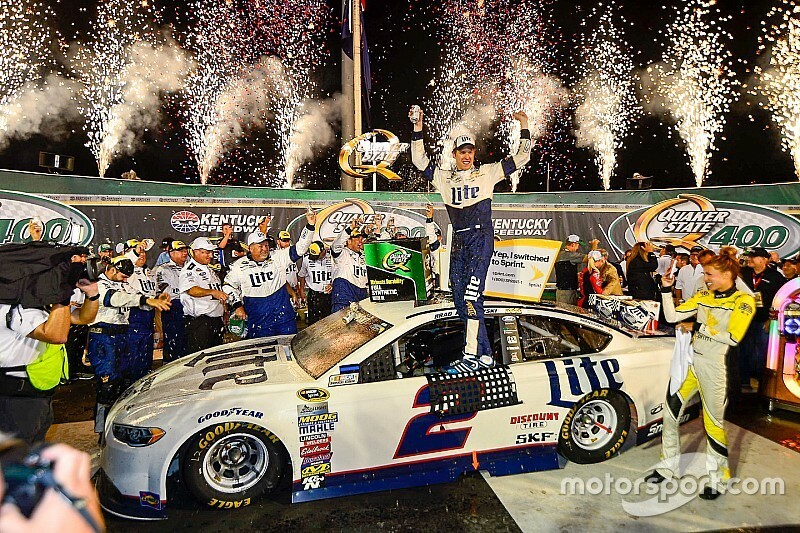 Brad Keselowski coasted to his third victory at Kentucky Speedway on Saturday night — literally. With seven laps remaining in the race, Keselowski and crew chief Paul Wolfe elected not to pit for fuel but conserve what was left in the tank. Two laps before the finish, Keselowski told the crew he was out of gas. For the last lap, Carl Edwards hung on to Keselowski’s bumper, but with the No. 19 conserving fuel as well, the No. 2 Ford held on to the point for his fourth win of the season, a berth in the Chase and his 21st career Sprint Cup win. Edwards finished second followed by Ryan Newman, Kurt Busch and Tony Stewart, who is making his final start at the 1.5-mile track. Although Keselowski said he was out of fuel before taking the white flag, Edwards felt his competitor’s pronouncement was suspect. “Yeah, I thought he was out of fuel, and he wasn’t,” Edwards said. “He played it perfectly. He let me get to him and then stood on it. 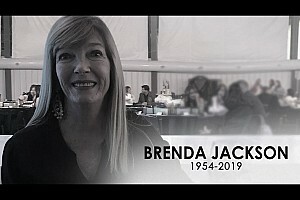 “But we had an opportunity to win the race, and I really appreciate my crew chief putting us in that position and TRD and the power and the fuel mileage that we get.Those are great engines. We had a shot at it, we just weren't able to do it. Saved a little too much." With a new car with untested tires on new pavement, Kentucky Speedway had a recipe for excitement. Not surprisingly, the Quaker State 400 tied a record for 11 cautions with Ricky Stenhouse Jr. wrecking in Turn 3 long before the Competition Caution on Lap 27. The race was barely back to green when six-time Cup champ Jimmie Johnson slammed into the Turn 4 wall on Lap 32. Although Johnson returned to the track on Lap 74, Joey Logano wasn’t so lucky. Logano, the last driver to win a race with the new low downforce package, tagged the wall on Lap 40. But 14 laps later, his brake rotor failed and Logano crashed into Turn 4. “I got loose off of four and knocked the right-rear quarter off it and then got real loose,” said Logano, who finished 39th. “When you get loose you have to slow down more and you use a lot of brake to slow down. Usually, the next thing to go is the right-front tire and that happened. 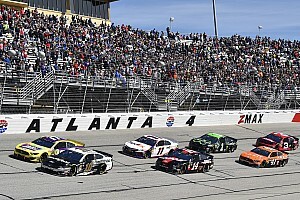 Although NASCAR’s top rookie candidates have held their own throughout the season, on the Lap 88 restart, Ryan Blaney became loose in Turn 3 and collected Chase Elliott in the process. The race went green for just two laps before an eight-car wreck erupted on the backstretch after Brian Scott checked up and was punted by Kyle Larson to mark the seventh caution. The race was slowed by four more cautions, but a pit miscue proved costly for Martin Truex Jr., when the leaders pit on Lap 196. Truex, who was running second at the time, passed then leader Kevin Harvick on the entry of pit road and was penalized for a safety violation. Although Truex was the first car off of pit road, NASCAR sent him to the tail end of the field. Harvick had the lead on the Lap 199 restart, but was passed by Keselowski and Matt Kenseth on the first lap. Truex restarted 23rd and quickly cut through the pack, moving up to 10th-place in 16 laps. Truex passed Harvick on the track on Lap 238 for third, but couldn’t catch Kenseth. He was forced to pit for fuel 19 laps later and finished 10th. “It wasn’t my night on that deal,” Truex said. “It’s frustrating, we had the car to beat. We came out with the lead and they took it away from us. It’s just the way it goes, I guess." Although Kenseth passed Keselowski on Lap 261, he was forced to pit for fuel on the next lap and relinquished the led to the No. 2 Ford which held the point for the final six laps. "I’ve got to give credit to my guys, the Roush Yates Engine shop, and everybody at Ford,” Keselowski said. "We knew the fuel mileage. We went out and we set a really fast pace there on that restart and was just using fuel, and then it became obvious that you were gonna have to save fuel at the end, but I already used so much. Greg Biffle finished season-high sixth, his second consecutive top 10. 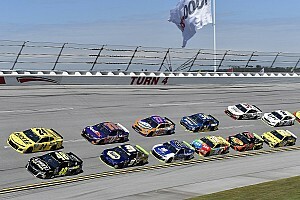 Jamie McMurray, Kenseth, Harvick and Truex rounded out the top 10. Harvick retained the points lead by four over Keselowski. Kurt Busch, Edwards and Logano round out the top five in the standings.